Rev. Lamont J. Johnson has been preaching for nearly 20 years, and is now the proud pastor of the Providence Baptist Church in Rockingham, North Carolina. 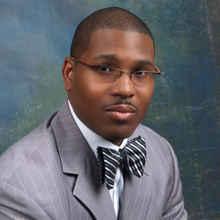 A graduate of Virginia Union University (B.A), Lamont also holds degrees from Richmond Virginia Seminary (M.A), Shaw University School of Divinity (M.Div) Lutheran Theological Southern Seminary (S.T.M) and is completing a Doctor of Ministry degree from Drew School of Theology. He and his wife Mindie, along with their children Lamont, Tiana, and Andre, reside in Greensboro, NC.